Monday September 19, 2011 7.00 P.M. Directed by Toshio Matsumoto. 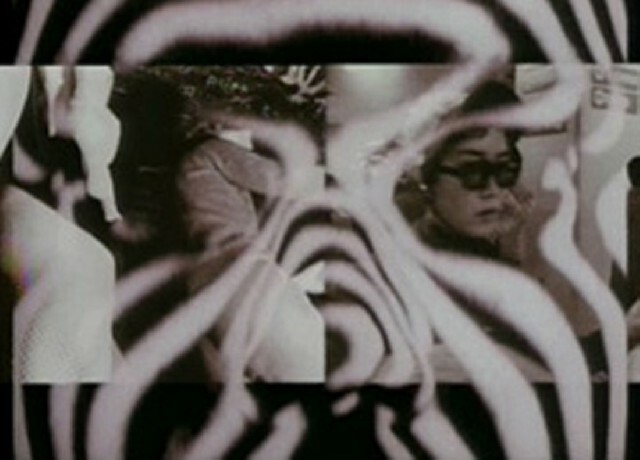 One of the great pioneers of Sixties counter-cinema, Japanese director, video artist and critic Toshio Matsumoto (b. 1932) rose to prominence as a daring stylist and fearless provocateur whose radically experimental films shattered social and aesthetic taboos with inspired precision and energy. by John Michalczyk (2011, 50 min.). Prior to the national election of December 2007, Kenya appeared to be a democratically stable country, with a robust economy built upon a highly admired tourism industry. 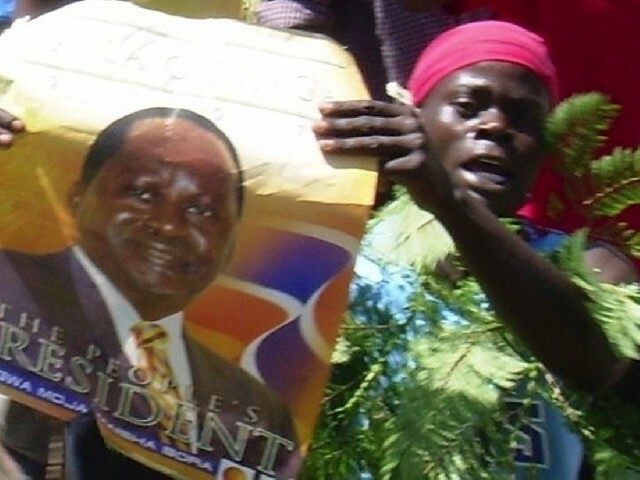 However, after the re-election of President Mwai Kibaki, his rival Raila Odinga immediately challenged the results and an outburst of violence quickly spread across the country causing 1400 deaths and displacing 300,000 people. Kenya: Passing the Baton sheds light on the struggle of a people and a government to create a united, civil society currently split by disturbing tribal tensions, corruption, land distribution, and a myriad of social issues exacerbated by the severe drought in 2009. With a new Constitution, Kenya wishes to become, once again, an icon of democracy in East Africa. Funding provided by Thomas J. and Erma Jean Tracy Family Foundation, Boston College, and Rotary International. Friday September 23, 2011, 6.00 PM – 5.25 PM. 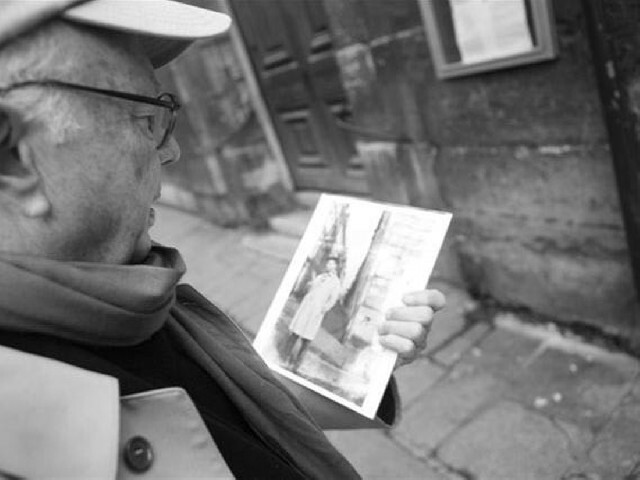 Ellsworth Kelly: Fragments directed by Edgar B. Howard and Tom Piper (2009, 65 min.). Ellsworth Kelly is widely regarded as one of the most important abstract painters, sculptors, and printmakers working today. Since the beginning of his career, Kelly’s emphasis on pure form and color, and his impulse to suppress gesture in favor of creating spatial unity, have played a pivotal role in the development of abstract art in America. As Kelly revisits the Paris of his early twenties, the film uncovers early influences that became leitmotifs he would later return to, reiterate, refine, and re-work for decades to come. Directed by Vivien Bittencourt and Vincent Katz (1996, 20 min.). This video captures the essence of Alex Katz, as he works on his piece January III. When Katz paints one of his large, signature paintings, it is an act of the utmost concentration—a performance in which he draws on years of experience as well as on preliminary sketches, painted studies, finished drawings, and a large charcoal cartoon, transferring the bare bones of the image to his canvas. Then he is ready to paint, and he usually finishes his paintings in one day; January III took five hours. Directed by Susan Vogel (2011, 53 min.). Filmed over three years in Venice, Nsukka, and the United States, this is a powerful portrait of Africa’s most widely acclaimed contemporary artist El Anatsui. Fold Crumple Crush gives an insider’s view of the artist’s practice, the ingenious steps and thousands of hours of labor that convert used bottle tops into huge, opulent wall hangings. Anatsui explains how his artworks have become a marriage of painting and sculpture—objects that speak of African history but also reach for the ethereal—and he talks about his aspirations for artworks he has yet to make. Harry Christophers opens the season with a program featuring the sensational fortepianist Kristian Bezuidenhout. Mozart’s tenure in Vienna was marked by many brilliant compositions, and this program delves into some of his later works, including his dramatic and compelling Symphony No. 40 in G Minor. The middle film in Rossellini’s famous “war trilogy” – between Open City and Germany Year Zero– Paisà is not a film about the events of the Risorgimento, but instead a series of sequences from the lives of everyday Italians, both civilians and antifascist partisans, during the fight for the liberation of Italy by the Allied armies in 1943 and 1944. Starting in the south and moving north, the episodes follow the armies as they traverse the different regions – depicting tales of everyday heroism, a kind of neorealist “history from below.” Framed by a map of Italy whose pieces are illuminated one by one, the stories express a hope that fascism’s authoritarian hierarchies would be replaced with a pluralist Italy which acknowledged and celebrated regional differences. Print restored by the Museum of Modern Art, New York. Directed by Pietro Germi. With Amedeo Nazzari, Cosetta Greco, Sarò Urzi Italy 1952, 35mm, b/w, 97 min. Italian with English subtitlesBest known in the States for 1960s comedies like Divorce, Italian Style, Pietro Germi originally worked in the neorealist vein – gradually infusing his style and subject matter with elements of genre. Co-written by Frederico Fellini, The Bandit of Tacca del Lupo is a Western set in Sicily during the turbulent 1860s, when unification meant not autonomy but a new conquest, this time by the forces of northern Italy. In a battle over the control of a small town that draws the terrorist campaign of bandit leader Raffa Raffa and a wily team of sharpshooters, Germi’s eye for military action in a dramatic landscape exposes his deep adoration of John Ford, and his clear-eyed, cold-blooded filmmaking takes no sides – both the government forces and the rebels appear more capable of cynical calculation than ostentatious heroics. Print courtesy of Cinecittá Luce. 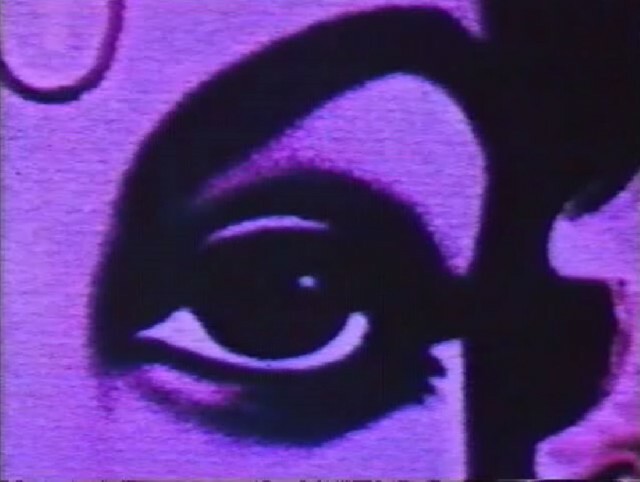 Directed by Steven Williford (2011, 90 min.). Having left behind a life in New York City for the village charm of shoreline Connecticut, Michael (Jason Butler Harner), a high school drama teacher, thinks he can live a simple, harmonious domestic existence with his partner Daniel (Cheyenne Jackson). But Michaelʼs world is turned upside-down when he is accused of engaging in “inappropriate behavior” with a male student, who runs away from home and leaves behind his financially-strapped mother and her mercenary boyfriend to capitalize on the schoolʼs culpability in the alleged affair. With his job, relationship, and freedom in jeopardy, Michael must confront the suspicions of his co-workers, the latent homophobia of his friends and neighbors, and Danielʼs doubts about his partnerʼs innocence after the investigation reveals a secret from his past. Free lecture/demonstration: Thursday, September 22, 4-5:30pm at New England Conservatory, Pierce Hall, 241 St. Botolph St., Boston. After funding fell through at the last minute for a fully-scripted feature, Metal Gods, Porterfield dispensed with the script and rehearsals, reconvened the cast of non-professionals culled from the working-class outskirts of Baltimore, and reanimated the spirit of the original idea onto the bare bones of a simple scenario: the death of a 23-year-old from a heroin overdose. The tragedy serves as an axis around which stories from the actors’ personal lives intertwine with the largely-improvised fiction. Their relationship to the dead boy sometimes the only bond, alienated family members and old friends reunite – to variously apathetic, uncomfortable, or painful ends. Divulging more freely to an off-screen interviewer whose identity is never revealed, the characters’ interactions with one another are usually mediated via paint ball, graffiti, drugs, video games, tattoos – culminating in an awkward karaoke-and-beer funeral for the departed. The self-conscious authenticity and quiet nihilism of Putty Hill matter-of-factly returns its gaze to a broken, disaffected reality of the American present. Direceted by Julian Schnabel (2011, 112 min.). Based closely on Rula Jebreal’s semi-autobiographical novel, Miral is artist-filmmaker Julian Schnabel’s latest film following the success of The Diving Bell and the Butterfly. Miral (Freida Pinto), an orphaned Palestinian, grows up in Jerusalem during the first intifada of the 1980s. While the orphanage and girls’ school director Hind Husseini (Hiam Abbass) wants her to stay away from political activism, Miral finds herself drawn aggressively into the conflict. Journey through the personal universe of German installation artist Anselm Kiefer and his alchemical creative processes. Though little-seen in the US since its release during WWII, Italy’s equivalent to Gone With the Wind was also inordinately popular, imbued with nostalgia and based on a novel that set a melodramatic romance against a backdrop of major historical events. The events here are those of the Risorgimento, and the love and heartbreak are those of a nobleman and his humbly born beloved. Cut off by his family for marrying below his station, he faces war fighting the Austrians and a different kind of war with a vengeful grandmother and neglected wife. An established writer before turning to film, Soldati constructed Alida Valli’s star vehicle and what remains his best known film. Print courtesy of Cineteca Nazionale. In Porterfield’s debut, his cast of mostly non-actors spends long, languid summer days in the Baltimore neighborhood of the title. Narrative tension and melodrama never quite erupt; instead they simmer obliquely beneath blank looks, passive gestures and sparse dialogue. Lena and Joe, young unmarried parents, appear attached by indirect, inarticulate communication and clumsy, fleeting affections. Friends and family look on amid the mid-summer Hamilton sounds and spaces which are also given ample room to sprawl in the suburban haze. Starkly circumventing exposition and plot device with a measured composition and unhurried observation, Porterfield’s Hamiltonbasks in summer’s simple pleasures and its quiet conflagrations. 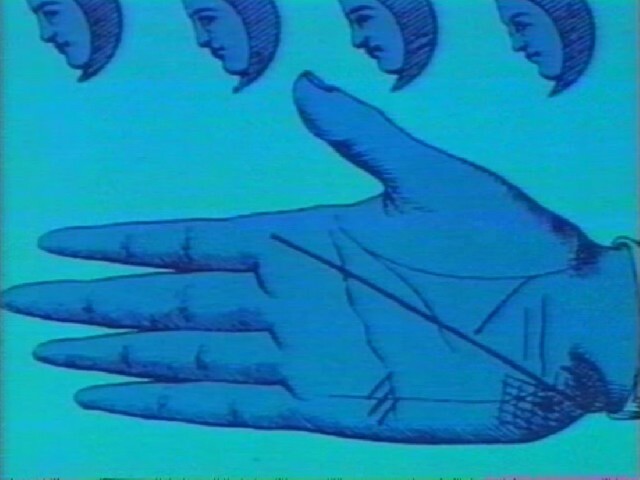 The ICA presents a variety of Karen Aqua’s award-winning films, from earlier projects to her final piece, including a selection of animated segments she made for Sesame Street. Suffolk University and Boston Playwrights’ Theatre present Robert Brustein’s Mortal Terror at the newly re-opened Modern Theatre at Suffolk University. Robert Brustein brings the spirit of William Shakespeare back to the stage with his imaginative story of political upheaval set during the ignition of the Gunpowder Plot. Mortal Terror is the second in a trilogy of plays about the life and work of Shakespeare by Robert Brustein, Distinguished Scholar in Residence at Suffolk University and recent National Medal of Arts recipient. Two of Europe’s finest improvisers collaborate for a special duo performance at the Goethe-Institut. The Annette Krebs + Ernst Karel Duo starts off the evening, followed by Thomas Lehn and John Butcher. Thomas Lehn is active as a performer of both contemporary music and classical piano repertoire. For the past twenty years, his major and widely known work has been performing and producing live-electronic music. John Butcher’s music ranges through improvisation, his own compositions, multitracked pieces and explorations with feedback and extreme acoustics.